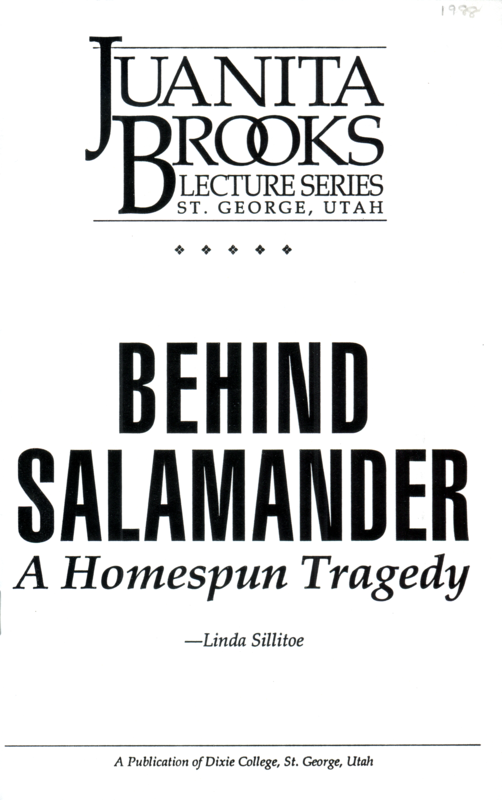 For Utahns, the events described in Salamander: The Story of the Mormon Forgery Murders are as homegrown as sagebrush, seagulls, and secrecy. This dark story is embedded in Mormon psychology, history, and culture. Mark Hofmann is a product of that psychology, history, and culture in both outward and inward respects, as are many of the other participants in this drama; but he is an extreme who roleplayed the norm. The drama enfolding him extends from the highest offices in the LDS Church to anti-Mormon outposts along the kingdom’s borders, and is reflected in a secular shadow play among eastern experts, prestigious dealers and national institutions. Tragedies, sometimes violent or bizarre, come and go here but are often attributed to offenders outside decent society or Mormon culture. This darkness rises from home ground and to some degree has touched us all; only by penetrating and understanding the darkness can we find light. Mormon culture, after all, is only one variation of human nature. Still, the odd cultural touches are fascinating: a witness thinking that a cardboard box containing a bomb is a box of cookies left for a bishop by a grateful ward member; a defensive Mormon ward fasting for a murder suspect’s family, “that the truth may be known soon” while detectives upend the family home searching for evidence; a prosecutor who photocopies a Dialogue article on blood atonement for the defendant’s father to read so that a plea bargain won’t be jeopardized by belief in capital punishment. Allen Roberts has illuminated a personal conflict Hofmann had with his family, his church, and his culture, one that he resolved by outwardly fulfilling all expectations and secretly manipulating religious and public perceptions through document discoveries that gradually would win his ongoing argument with church history. The violence of the bombings in a staid, pleasant culture in which history is a crucible, spread shockwaves, particularly as church history, church financing, and church leaders were shown at close proximity to the crime scenes and a mild-mannered document dealer became a murder suspect. Hofmann’s documents, the public learned, had been purchased for thousands of dollars by the church, and a general authority—with ecclesiastical approval—had arranged a $185,000 bank loan for Hofmann to purchase a collection destined for a church vault. Hard upon that shock came another—the documents Hofmann had sold the church and other collectors were forgeries and his transactions, including the McLellin deal that led to murder, were fraudulent. A third shock was not far behind: Hofmann and his attorneys traded two capital homicides and 28 felony theft and fraud charges for one five years to life sentence and effective immunity to future forgery or fraud charges in Utah or New York. In return, Hofmann agreed to plead guilty to the murders, the forgery of the salamander letter and the McLellin fraud, then discuss his crimes. And now? Hofmann is considered the most versatile and skilled forger ever caught. But he is more than that for he fooled not only historians, book collectors and dealers, and authenticators but polygraphers, psychologists, church leaders, friends, business partners, and family. When news of his plea bargain broke, the media suggested that Hofmann’s record as a con man remained unblemished—in negotiating with the prosecutors and judge, Hofmann had made the best deal of his life. When he appeared one year later before the Board of Pardons to discuss a parole date, Hofmann’s family background, first offense status, psychological profile and other data used by the board pointed to a release date in seven years, meaning that he could receive an early parole in three years. Yet after listening to Hofmann answer questions for a chilling 90 minutes, the board virtually threw away the prison key. All this and more we observed and probed during the years following the bombings and our questions multiplied with every answer we found. Everything concerning Hofmann runs in multiples—deaths, documents, frauds, and motives. Given the privacy and libel laws that protect individuals, and Hofmann’s secretive nature and his inability to discuss subjective feelings, some answers may only be surmised but never proven. Nevertheless, we can and must come close to understanding this multi-layered event and the man at its center. In reviewing psychological reports, the board chairman commented that “by all accounts” Hofmann had been a model child. That was not true for all the accounts we received. Adults generally did see Mark that way, and in his ward he was noted for knowing the answers to questions in class, his familiarity with the scriptures, and for memorizing the sacramental prayers well before he became a priest. He received his Eagle Scout award, ran on the track team, water skied with his family at their cabin near Bear Lake, and collected coins and just about everything else. Boys Mark’s age, however, knew that Mark liked to run with the rowdies in the neighborhood, tormenting animals, playing with fire and explosives, and getting into mischief. He and his cousin Mike Woolley tried to concoct various substances, including nitroglycerine. On one occasion, Mark’s clothes caught on fire and his neck was burned. Before that, Mark’s family lived in California for a couple of years, and Mark became proficient at magic tricks and card tricks. In fact, he seemed to always have some trick ready to spring on his older or younger sister and their friends. He was spanked more often than his sisters, though as the only son in a Mormon family with Swiss-German roots, he filled a very special niche. His parents audibly wished for him to become a doctor or scientist, a church leader, or perhaps even the prophet. We had the opportunity to view some slides of Mark during his growing up years. Discussing them later, we found that we had both expected to see Mark a furtive, shy boy at the edge of the picture. Instead, he was center frame, thumbs in his belt, dominating every photograph. Even then, among his buddies, he seemed to sense stardom. He liked to show off his daring and strength, sometimes recklessly. At least by early adolescence, lying and evading seemed to part of Mark’s personality. One of his closest friends reflected that Mark seemed like the stereotypical bishop’s son who had to be the worst kid in the ward but only outside his parents’ vision. Mark’s father was never the bishop, but a strong, doctrinaire presence in the ward and very dominant at home. From the time Mark became a suspect, William Hofmann became his most vocal private and public defender and took a very active role in the legal process. Mark assured his father of his innocence, accepted his support, tried to plead guilty and go to prison without informing his father, then, failing that, pleaded guilty and walked past his father without a word. Even after that, his father continued to believe in his innocence and visibly suffered through the board hearing when Mark pridefully discussed his crimes. Many of Mark’s fraud victims were created in his father’s image. Al Rust, a major victim, regarded Mark as a son; Donald Schmidt, the former church archivist, and Gordon Hinckley, apostle over the history department when Hofmann’s career began, also fit into the pattern. Steve Christensen, a businesslike bishop Hofmann’s age, was acting in behalf of church patriarchs in the pressured McLellin deal; when Hofmann bombed him he laced the bomb with nails, signifying not only murderous intent but tremendous rage. Again and again Hofmann created a mentor or father/son relationship and, in one way or another blasted them all. Just as Hofmann seemed superficially to be a model child, he appeared to many as a model adult. He was a returned Mormon missionary, then a pre-medical student, then an incredibly gifted or lucky history buff and document scout. He was pleasant, soft-spoken, witty, and sometimes given to acts of generosity or kindness like those that characterized his parents. Within the Mormon history community, he was known for a surprising access to certain high church leaders. Again, this exemplary model was only a facade. Beginning the night Hofmann was injured and accused, I was told by active Mormons that Hofmann was an active Mormon; by liberal Mormons that he was a liberal; by expatriated Mormons that he disbelieved and liked to drink, but kept up appearances; and by a critic outside the church that he thought he had everyone fooled. Some in the history community did disapprove of Hofmann’s monetary interest in his documents and his claimed disinterest is true. Hearing him say, “I just do this for the money,” put off some of his admirers but also suggested to them that they knew Hofmann. They did not. While Hofmann forged for income and sometimes luxuries, he cared intensely about church history—but in his own way and for his own reasons. He has been characterized as a chameleon, but sometimes he lapsed and sometimes he stretched for appropriate responses—for a contrived person cannot always fit comfortably to the deformed personality the mask. An instance when the mask slipped and was replaced followed Hofmann’s “discovery” of the Anthon transcript, the paper purportedly displaying characters from the Book of Mormon gold plates, copied and signed by Joseph Smith. This document made Hofmann a full-time document dealer, introduced him to the LDS First Presidency and other high church leaders, and opened to him a community of scholars and collectors. Someone taped a fireside Hofmann presented in 1980, describing how he took the Anthon transcript to the First Presidency of the church. When reverently asked for his impressions of Spencer W. Kimball, Hofmann answered in the toneless voice that has become a trademark, “Well, he was a lot shorter than I expected.” A shocked pause followed, and then a low, indulgent chuckle from his audience. Another pause, this one expectant. Finally Hofmann added, “You could tell that he really had the Spirit.” Then came a satisfied murmur. In the spring of 1986, evidence presented at the preliminary hearing had an impact on Hofmann’s public image. Yet something we encountered soon afterward altered our view of him faster than anything to that point. As we interviewed people in the history community, information from certain sources clashed, yet no one seemed to be lying. After several days of intense questioning, I found a triangle around a particular document—a secret temple ceremony that Hofmann had sold in 1979 to his friend and mentor, A. J. Simmonds, special collections director at Utah State University. Simmonds had asked Hofmann if he could send a copy of the blessing to Michael Marquardt, a researcher in Salt Lake City and a friend of the Tanners. Hofmann had agreed, Simmonds said. However, Marquardt had not received the photocopy from Simmonds. Oddly, the Tanners had a photocopied document received in 1978 when a young man brought it to their bookstore. They didn’t think they had met Hofmann until 1980. Simmonds described to me the document he had purchased in 1979 and then I hurried over to the Tanners’ bookstore to pick up their photocopy. Even before I called Simmonds back, I realized that, for years, the Tanners had a copy of Simmonds’ document, unbeknownst to him or them though they talked frequently. When I described the photocopy to Simmonds over the telephone, he recalled that Hofmann had told him that the Tanners already had a copy of the blessing and he need not send them one. “But I’m sure I sent one to Marquardt,” Simmonds murmured. I couldn’t resist. “Did you ask Mark to mail it for you?” I asked. “Probably,” Simmonds snapped back. Despite the levity, the significance of this incident was staggering. First Simmonds discovered, upon checking his records, that he had purchased this temple ceremony before—not after, as he had thought—Hofmann brought the Anthon transcript to the church. And why had neither the Tanners nor anyone else learned of Simmonds’ purchase? Because a distraught Hofmann had come to Simmonds during the Anthon transaction and accused him of leaking word of the temple blessing. He told Simmonds he was in danger of excommunication, and Simmonds promised silence. He told me this story as if confessing a great wrong. Another incident involves information that never reached the police and came in just as our manuscript was nearing completion. Hofmann was being called a sociopath or psychopath by both legal and psychological observers. Drawing on numerous interviews and psychiatric texts, we had checked off more than the requisite number of characteristic behaviors that would lead to such a diagnosis. Yet when the clinical psychologist who examined him for the state indignantly told me Hofmann is not a sociopath or psychopath, read me the identical list of diagnostic characteristics, and refused to talk further without Hofmann’s permission, I decided to recheck our conclusions with Jeff Salt, Hofmann’s high school friend and college roommate. I read him the list, we discussed it, and then Salt began to unburden himself. Before we hung up at 2 a.m. the next morning, he had confided a murder that Hofmann had planned while in college, trying to enlist Salt’s help to kill a Salt Lake businessman in order to steal certain items of currency. When I called the businessman, the scenario Salt described checked out—in fact, I realized that security was such that no robbery would have been possible unless the man did open the safe and then drop dead at Hofmann’s feet from a chemically-induced heart attack. As gently as I could, I told David Freed of his intended demise, discussed it until the first shock wore off, then wished him a Happy Thanksgiving. Such incidents totally removed Hofmann’s tarnished halo. Not only had he forged documents uncomplimentary to the church before the faith-promoters, but he had planned and discussed homicide years before the bombings. Appearances to the contrary, this was not a nice person. His diffident, almost child­like style was, for this culture, perfectly fashioned to cover a life of crime. His technical brilliance and mastery of manipulation hid a blindness toward emotions. Hofmann prepared the bombs the same way he prepared the forgeries, secretly, meticulously, letting someone else pick them up, read the words, take the impact. He always had an answer, a story, a way out. Even facing the death penalty he managed to divert and evade. The charges against Hofmann were bound over to Third District court in five different cases, with the murder case scheduled for trial in March 1987. The cases were intertwined and somewhat esoteric, presenting legal questions and challenges. Nevertheless, the evidence against him was overwhelming in quantity and quality. However, Hofmann was entitled to a trial by his peers and jury selection in a case that would require testimony by high church leaders would make choosing a “death-qualified” and “church-qualified” jury very difficult. Interviews with now first counselor Gordon B. Hinckley, a material witness, convinced the prosecutors that he would not be a strong witness. Had the case gone to trial, lead prosecutor Robert Stott would have called Hinckley to the stand and Hinckley would have testified; however, neither man relished the prospect. 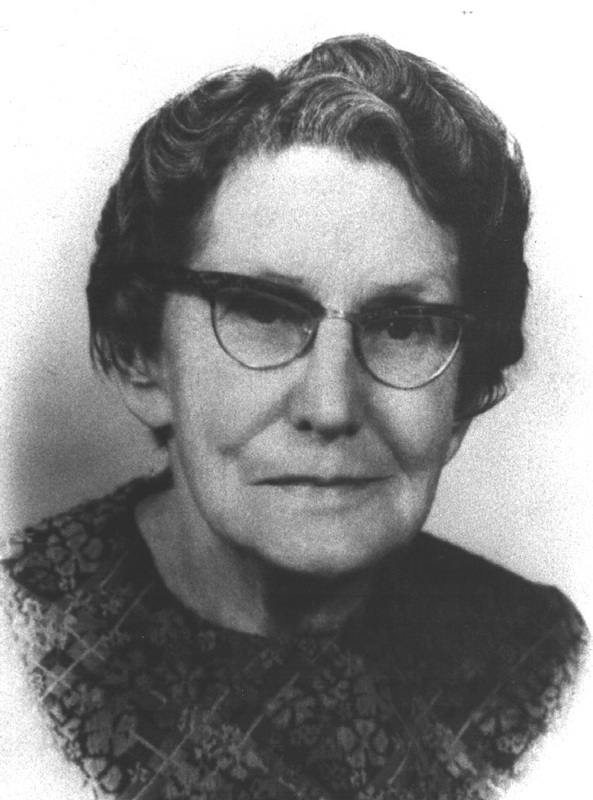 Stott, in fact, was something of a Mormon history buff and an active member. He was appalled and amazed by what Hofmann had done to Mormon history. Stott believed the case against Hofmann would never be ironclad, nor was he likely to receive the death penalty. He decided that a plea bargain would put Hofmann in the penitentiary and that the Board of Pardons would never let him go. A confession from Hofmann and a description of his crimes was, Stott believed, the only way to conclusively prove his guilt and learn his techniques. The defense attorneys, Ronald Yengich and Bradley Rich, knew midway into the preliminary hearing that a plea bargain would be preferable to trial. They sensed Stott’s keen interest in the forgeries and recognized the difficulty the prosecution faced in essentially putting the LDS Church on trial. Hofmann’s offer to plead guilty and discuss his crimes gradually resulted in concurrent sentences, immunity in New York where he marketed the Oath of a Freeman, getting the federal charges dropped, and a third degree sentence on the Kathleen Sheets murder. The objection to the plea bargain seem to revolve around several points. First is the apparent paradox that Hofmann would answer all questions about his crimes truthfully in return for a good report to the Board of Pardons, yet the expectation that he would serve many years in prison. Second is using his interviews as a trade, in effect, for a lighter sentence. Third is the content of the interviews themselves, which articulate great detail about the forgeries but contradict the bombing evidence and evade the motive for the homicides. In addition, some who object to the plea bargain were looking forward to the trial or trials to air the evidence on both sides, or because they believed Hofmann would or should be acquitted, or, conversely, because they believed he would and should receive the death penalty. Deeper than those considerations, however, runs a rift between the opinions of those who consciously or unconsciously believe that the forgeries are, in fact, more significant than the homicides—a state of mind that others find abhorrent. I often wonder whether that rift is caused by a sense that religious belief, or history, or ideology, is more important than individual lives? Or is it that murder is a messy, not-nice business, while forgeries are cleaner, rational and intellectual? That attitude is not strictly local, though it seems popular in the history community. Antiquities author Charles Hamilton, was quoted in the New York Times saying that Hofmann’s murders were pedestrian—fooling experts such as himself was what made Hofmann remarkable. However, the “forgery people” do seem to include those who, like Hamilton, and many in this culture have a monetary, emotional, scholarly, or religious investment in the Hofmann documents. Many have remarked on Hofmann’s deadpan calm, his impassivity during the preliminary hearing, his use of words like “fraudulent,” “alibi,” “forgery,” and “scam”—even “homicide”—without the least pejorative emphasis. There are many indications that Hofmann is a man in whom reason and emotion are almost entirely divorced, leaving his unattended, unacknowledged emotions as volatile as bombshells, while his rational powers allow him to plan and act. Yet, as I say, this story is homespun and Hofmann represents an extreme. I remember the courtroom where all of us heard the most dramatic and horrifying testimony with hardly any more visible or audible emotion than during the most tedious and technical testimony. More than anything, the courtroom resembled a modem chapel with wooden pews, and well dressed, middle-class people listening through one session after another because they ought to be there. Later, when the transcript of Hofmann’s interviews with the prosecutors was released, those who appreciate the intricacies of paper, ink, and history found them fascinating. Those who were outraged by the bombings did not. 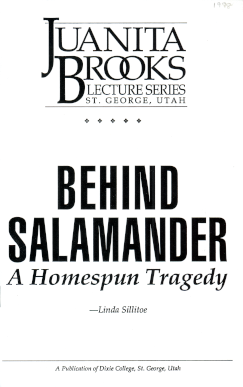 Although Salamander encompasses the story of the bombings and forgeries, the mystery will be with us for years. This tragedy illuminates not only a sociopathic rage but the culture in which it was formed. In this story we see our own protective tendencies to look away from what we don’t want to see; to disown, dismiss or refuse to discuss anything that causes discomfort; to rely on the brain to the disavowal of the heart; or to value abstractions more than the gift of life. Perhaps in Mark Hofmann we recognize more than his outward appearance; and somewhere among our mixed feelings we are still attracted to his expertise, his cunning, his defiance, his success, perhaps, even his triumph. But then, at the end of every murder mystery, there is always surprise—and in the next instant the recognition of something we should have known all the time.